Many expectant women, especially first-time mothers, have questions about physical activity during pregnancy. 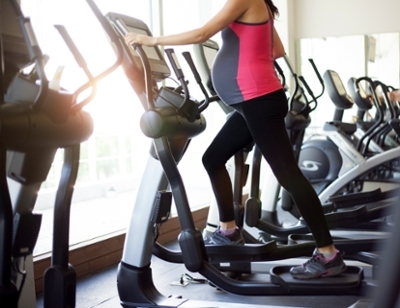 For the vast majority of women, exercising during pregnancy has minimal risk for both mom and baby. In fact, the right types of physical activity are actually critical in keeping a woman’s body healthy for those nine dedicated months. Marcela C. Smid, MD, assistant professor in the Department of Obstetrics and Gynecology at the University of Utah Health, encourages women with uncomplicated pregnancies to participate in low-impact activities. While the vast majority of women are encouraged to exercise in pregnancy, there are some conditions in which exercise should be avoided; consult with your provider to make sure you don't have one of these conditions. Smid also suggests that woman maintain or slightly increase their aerobic fitness during pregnancy as maternal symptoms permit. Exercise during pregnancy is not only beneficial to mother, the baby also benefits. Studies have shown both positive body composition and neurodevelopment outcomes in the children of women who exercised regularly throughout their pregnancy. They also show that children contain less body fat at birth and at 5 years old.